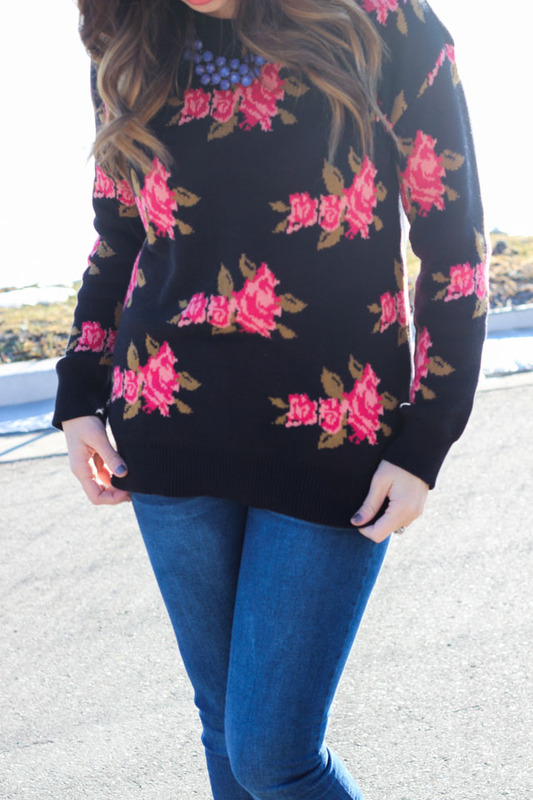 Janelle In Real Life: lost wallets & flower sweaters. lost wallets & flower sweaters. I have a story about this sweater. I saw it a few week ago on instagram and loved it! I looked for it at forever 21 and online and couldn't find it which was very disappointing. And then as I was casually perusing through the racks at Forever 21, I found it! I tried it on and loved it so I went to go purchase that pretty thing for myself. As I got to the register, I reached into my bag and couldn't find my wallet! I decided I must have left it in the car and went to go look, leaving my precious sweater. 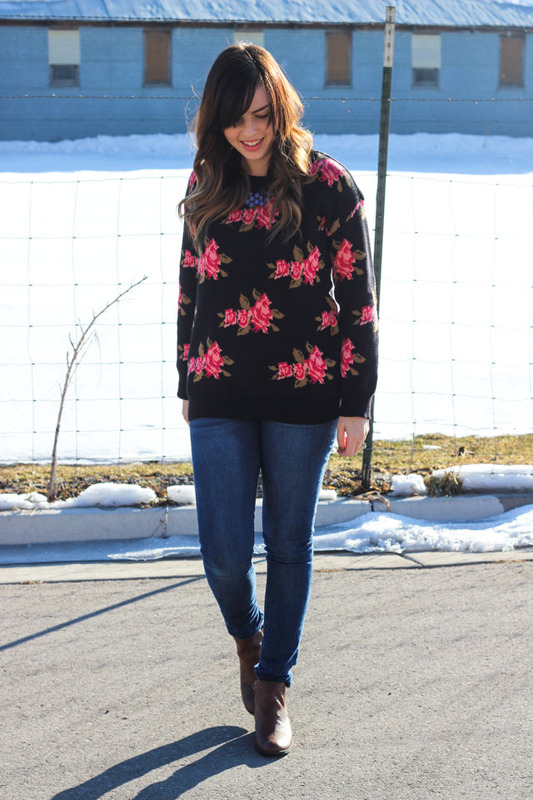 Where she got it: sweater: forever 21 // jeans: cotton on // shoes: famous footwear (find them here) // necklace: gift from my cute sister! I looked in my car and couldn't find it anywhere! I must have left it at home. I drove all the way home to find that it wasn't there either! I looked allllll over. My little guy is in the habit of hiding our things so I even checked his normal hiding spots (his playroom, under his crib, in the rice cooker... that kid has some creative hiding places). I started to sort of freak out and decided I better call the places I'd been to and see if they'd found it. No one had. After about an hour of searching/panicking... I remembered something. I sometimes put my wallet in the pocket of my son's stroller while he's in there! And there was my wallet, folded up inside the stroller in the trunk of my car. And guess what happened next? I went all the way back to the mall and bought this sweater because I apparently HAD to have it. And just so you know, my husband and I have both misplaced our wallets in the last week, so there's a lot of absent mindedness going on in this household. Hope you're all having a fanTastic Tuesday!! Glad you find your wallet. It so scary when we can't find it. The sweater looks great on you. Glad you were able to find it. I know how that goes! I'm constantly trying to remember what pocket or purse I last had my wallet. Great sweater! 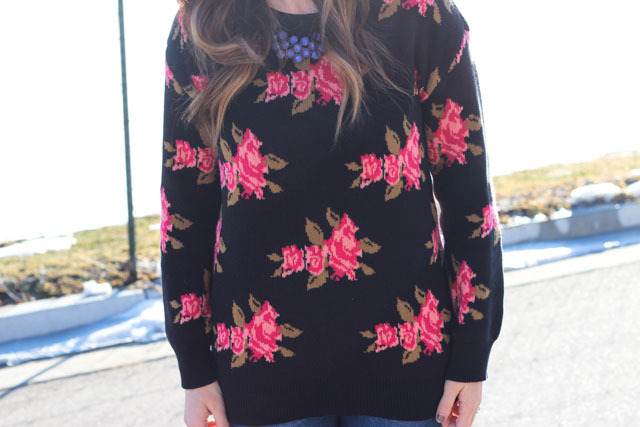 That's a very adorable sweater.....love the floral prints!!! oh gosh, I would have been so frustrated! But I'm glad it all worked out and you got a cute sweater! Love the sweater, but the story behind it is even better! Thanks for linking up with Stylish Tuesday! 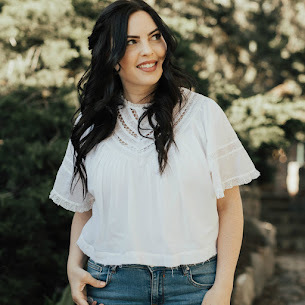 Visiting from the Love your Look Link-up! Ooo, I hate it when I can't find my wallet! Glad the story had a happy ending and you found your wallet and got this fab sweater!